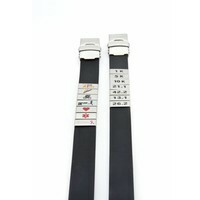 Beautiful strong black leather ID bracelet. 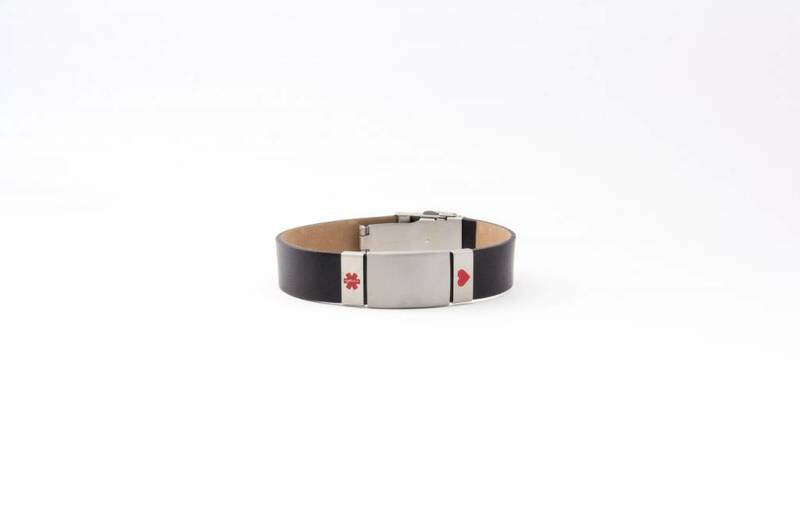 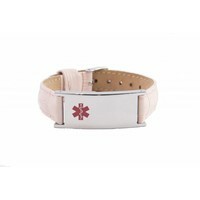 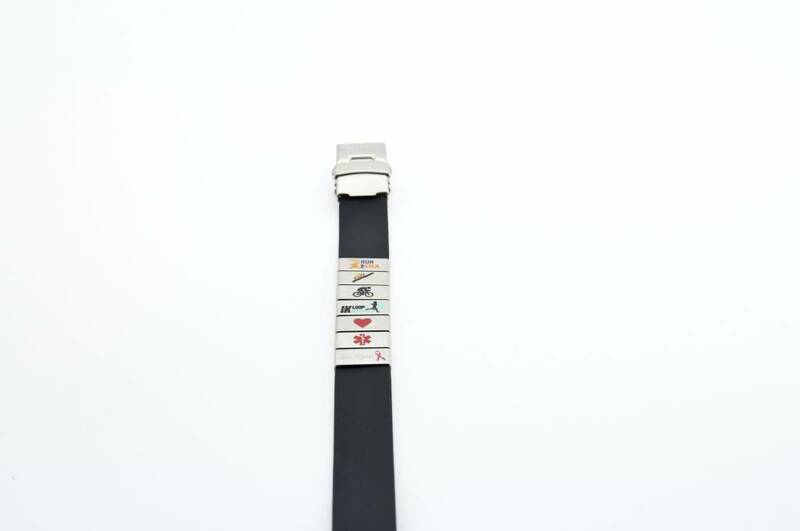 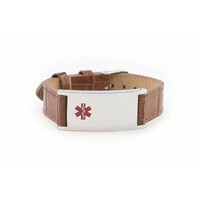 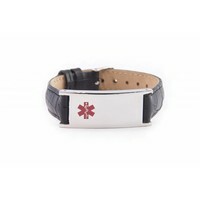 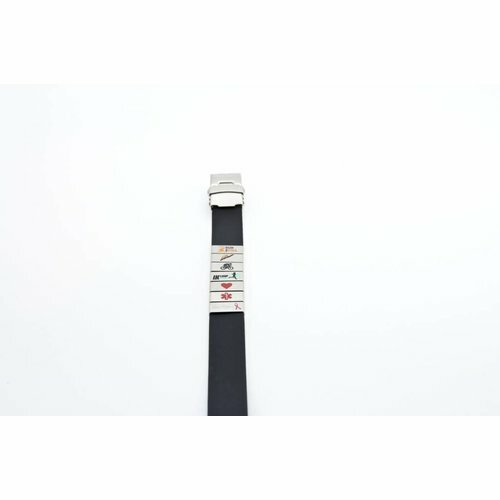 The perfect stylish ID bracelet with a leather band, stainless steel buckle and ID tag. 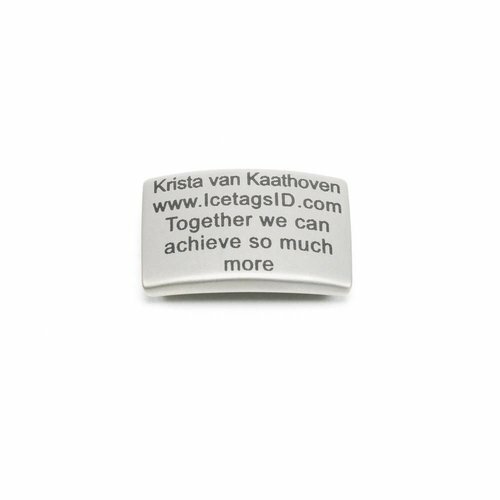 One size fits all, you can trim it to any required wrist size.